I came across a book that I didn’t know existed, written by Coretta’s oldest sister. I know that we always celebrate the life and legacy of Dr. King… but I make it my business to remember Coretta Scott King…She was more influential in the Civil Rights Movement than many might believe. She has always had a “special” place in my heart. However, I decided that I will introduce great reads for Black History Month about the great common women and wives of the leaders during the Civil Rights Movement and those who were influential in moving Black America forward! I am not foreign with dealing with betrayal… it can happen to anyone. I post many “beware’s” because of my own experiences when walking not running through this journey call “life”. Christ was not the exception but he told you that his enemies were active and current even as far as sitting at the table with him having dinner and chatting. And get this had the nerve to kiss him. A masterful irritation was Judas went the script of pretending. For me that blows me when someone goes through the “script” of pretending. I allow people to be who they are even if they don’t like me. Please be prepared because I am unapologetic with what will whirl from my mouth call the truth. If you have the “testicular fortitude” of going there…Surely I can stand sure and flat-footed… I can handle the best of debates. Although, I am safe to say, I am on the quiet side…but I do possess “holy boldness”. I am not this overbearing female who has to be heard but I can put my money where my mouth is! That dumb down thing doesn’t work well with me, neither do I ignore “red flags”. I don’t let my guards down…and I don’t trust easily! The theatrics of pretending to like someone doesn’t work well with me. I embrace God’s people not because they are always the most loving people in the world. The agape love experience doesn’t come over night… It is a gradual. Yet, we must be aware the “kiss of Judas” can be among friends. I know that stomach turns when you even think that it can happen on your watch. There is a difference in being an adversary and an enemy. The adversary is someone who use to know you . The enemy doesn’t care he will hate your regardless! All the four gospels gives you their account of the low down. Regardless of whose account he is still the enemy! Any leader or just common folks can tell you of many who they thought were their friends or someone they “thought loved” them … threw them under a bus! When I hear of the different stories of “alleged” so call “sellouts” I am not always sure but it can happen. No one wants anyone to know of a history of their real enemies it’s too frightening because the number might be just a little higher than you thought. Building up walls may not be the answer but having them high enough will help! Well in 2013,The “FBI” released and claims they have documented proof… that Mr. Wither, was this “alleged” paid FBI informant from 1958 to 1972. Mr. Withers who was free lance photographer during the 50’s and during the Civil Rights Movement. Had collected over 60 years of many black and white photos the world including that of the ugly head of racism. Even if there is evidence will the public believe or will they really care? I can’t always dismiss things because the bulk of people love to believe in the fairytale. Dr. King had lot of enemies and he might be considered being one to himself. I am very vocal about Coretta Scott King may have held more of this Civil Rights Movement together than one might believe. She probably saw more of the monsters than he did. Her insight was fascinating to me even in her silence spoke volumes! 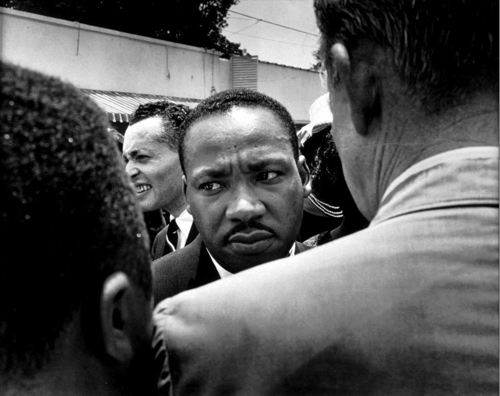 History and others like to dismiss that Dr. King had spiritual warfare like any other human being. Whether Dr. Ernest Withers was a friend or foe we can safely say that we can’t always dismiss the truth because it’s unbearable to think of and to hear. Lately people love to worship heroes until something takes the air out of the balloon. Like all of us who have experience betrayal…it is always the ones who can’t bear the thought of it! “God warns… the ignorance in babysitting your enemies…. If l know better we wont be dining together or working with me”. I think it’s safe to say we need to stop jumping on the bandwagon of this great conspiracy against people we admire or adore. Although sometimes they just might be lies but often the truth. They are simply mere mortals with flaws! Take people off of personal mountain tops and start assessing things with some common sense and with character. It’s not all the time that the majority rules! All because one ” idol worship” an individuals doesn’t mean he or she is incapable of doing the unthinkable! I have just learn to pay attention without my opinions. The truth will come out whether people can handle the TRUTH IS ANOTHER STORY! ARISTOTLE SAID….”A tyrant puts on the appearance of uncommon devotion to religion. Subjects are less apprehensively of illegal treatment from a ruler they consider god-fearing and pious. If you are super sensitive… this isn’t the post for you! I have seen enough “police brutality” cases to know… it always kicks into “High” gear… media blitz and then Nothing! The Civil Rights Movement… meant more than just a moment… It was “monumental” in more ways than one…IT IS APART OF HISTORY! I can recall some years ago…When a very prominent minister who was apart of the Civil Rights Movement strongly and a very good friend of Dr. King…shared something that I didn’t hear a lot of …And that was the TRUTH! People always trying to put their spin on this and that knowing it wasn’t all that simple! …No offense to anyone… I had to learn the truth and study the history for myself instead of what others misconception of what the Civil Rights Movement really was all about! What agitate my spirit more than anything…That people are always hype for a minute…When the seriousness really come forth… I want to see what’s left. I am not a novice at any of this. I am just waiting for the people to collect themselves and the separation of what is real will disassociate themselves and reassemble for the next step! Sensationalism and Opportunists… play on the heart-strings of the very weak…during times of distress in this country. Always a known fact! The true learning tool for myself was that I watched and heard people who were sincerely about the movement… And this one particular minister spoken from his “own” lips one Sunday morning. “That he would participate in some of the marches when Dr. Martin Luther King… would come to his city. He loved “Martin”. No doubt… Coretta King had disassociate and distanced herself to some degree as well to make some wise decisions! It’s funny… I was always interested in her perspective. 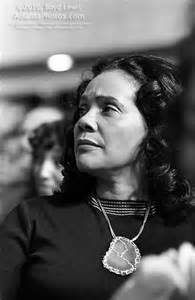 Everyone always has something to say negatively about her… They “called” Coretta King “cold and very aloof” But I soon learned why she was smarter than most believe and kept her sanity… God rest her soul…she went through HELL! As I learned more about different leaders during the movement. I had become more interested in her first not her husband. Her posture” spoke” volumes… and told me a lot. I say…she saw and experienced a lot of distress and private pain during King’s reign during the times of the Civil Rights Movement. People get terribly offended when someone has another truth to the insight that many fail to look at. Dr. King for some is no more than a fantasy at best of being the perfect leader. Leaders today don’t even understand the dynamics of what he was too achieved during this time. Many ride out on his name not knowing what all roads in the end lead to. Like any man he had many distractions and sometimes it was within his personal entourage. What became impressive with me… was the fact that someone loved him “sincerely” to say to watch out …and call it out! Who shared the distraction, manipulations of pitfalls of the Civil Rights Movement? As much as we like to act as if… we are singing “Kumbya” Many see opportunity …to add gasoline to the fire! A lot of noise at best. We have to hit this from all sides …not just demonstrations but administration. The Elders really need to be armed with THE TRUTH OF THE MATTER and share some wisdom about what this is really going to take! And let me honest and be the first to say… I am afraid of what the future leaders are going to represent . Surely I wouldn’t want anyone armed with only cotton side of these very serious situation they might be a bit wiser, have social media but it really is who endures! I commend everyone on their heart-felt efforts in sincerity but here is the downside…on what I see… Emotions are on steroids right now…But it’s after the storm that is going to matter the most! Meaning… it has to go to another level for it all to work! The real hard work has never been simple. After the storms die down … The process then begins with getting some people who know what to do after there are no cameras. no media, no more hype! We are at this door yet, again… to push for change. We had the protests not lets push for policies! Perpetual is defined as continuing forever or this term…I liked… “valid all the time”. Now out of all the years of being in church, I had never strongly studied Mary in this manner. I like many others…thought of her innocence and a little mother. She was always that sweet girl, traveling with a baby to hide wrapped in a blanket. As simple as it sounds that is honestly the way most people see her. When I begin to walk with the Lord more… I had to break down the dynamics of Mary Motherhood to Jesus! Mary was of Jewish descendant of Nazareth of Galilee… Was chosen and favored by God. And let’s be honest, her story didn’t sound so favorable but when God finally showed me another way of looking at Mary… I was more than impressed with the perpetual faith, fight and endurance level. Then, I thought… Joseph had to think this girl was lying…and we would have thought the same thing. Can you imagine how much fighting went on? Joseph then wanted to rid of the relationship. Perception was everything and Mary was either going crazy or telling some strange lies…. The Lord then had to lay him down in order to explain… Because Joseph lost it… not to mention the “THE EMBARRASSMENT BOTH OF THEM HAD TO FACE”. I believed Joseph…had gotten a terrible taste in his mouth about Mary…And the devil played in his ear… Mary had played around on him… and his mind she was supposed to be a “virgin” but she was liking on someone else the whole time. Side Bar…This is exactly why people are getting divorced… because instead of dealing with truth … satan gives you another version and take you beyond reason. so you deal with what if’s… And many will go with a lie quicker than the truth! What stress Mary had! 2) Mary, had begun a process to what was a difficult journey. She is about to lose her man because she is pregnant and trying to explain to the fella… the Holy Spirit came upon her… Can you imagine? Yeah right! 3) Mary experienced THE HOLY SPIRIT THEN HAD TO TURN AROUND AND RIDE A DONKEY… Give birth, in a barn… This doesn’t sound like favor… but God had her back! There was no Mercedes-Benz! A total donkey! 4) After giving birth…Mary… had to then hide her son.. because they had a bounty on the baby! Mary dealt with TERRORISM AND RACIAL PROFILING… Keep following…Generational genocide… Did history not repeat itself? Pharaoh, did the same thing! What about today? Our children are hunted down like dogs and murdered like Trayvon Martin and Jordan Davis. 5) Mary then raised … her son until adolescence. Beyond this you never heard she was involved in her son’s life a lot… At a young age…just like herself…God used him! As long as money was involved… It always made Rome quite pleased. Yet, there was still the side that Mary, had to deal with… Her sons friends or the ones he did things for and she witness all what was said and done behind his back. Lets go here…. There is always those questionable individuals in your life that “mother” warned you about. He might have been a prophet… but I am almost sure Mary asked questions… although he was about his father’s business! 7) Mary… has to watch her son suffer all because of misunderstanding of who God had called him to be …PREJUDICES…Is this not a factor today? If someone appears different from our personal traditions, customs or culture… There is a way the evil ones that plan to hurt, maim or put you to death! Sometimes the death comes with the power of the tongue! … The power that Mary had was unbelievable! 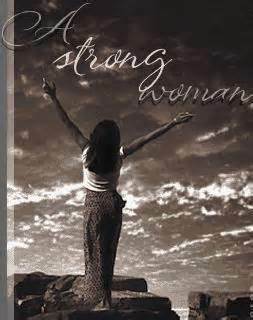 I don’t discount Joseph at all..but I am speaking about “the heartaches” of being a mother while being a woman of God! Don’t you dare think… People don’t use church as a crutch and a drug…Without God… we can do nothing… But understand the lack of transparency and truth within the church keeps people addicted to a form of godliness….and religion. Without a true relationship with God …Many fail ! People will say they love you but all you see is abandonment during the biggest struggles of your life. Mary had an inner strength I honestly believe all of us never paid attention to. Mary wasn’t the Savior…her son was! The complications that this marriage had been off the meter. The challenges of the dealing with the sideways stories… and gossip! Is this not like life today. When life is so complicated you can’t explain the ways of God. Somethings must definitely be experienced. God puts us so far out there… We have no idea what he is doing so …we all come off a little bi-polar! Unfortunately people like fairy tales… They can be persuaded to be good, bad or indifferent…We look at the bible as a Cecil B. De Milles moment but its more than that! I had learned she was the only one filled with the HOLY SPIRIT TWICE WITH JESUS. Whatever the trouble is for those of who God has chosen a greater task… It’s a hard press… You will be stressed, you will cry… you will be frustrated… You can wear all the “Jesus buttons” and pushed them…Life can throw you down! Death will be apart of our journey… sooner of later…Mary dealt with every level of violence… Christ died a horrible death. During this horrible time of violence everywhere…We must have the tenacity to stand…When God places an assignment on your life… You are not always comfortable although, he had granted you favor! I read Mary’s story and its a little frightening! Mary gave God consistency in times of distress! Everything isn’t what it appears… because “Jesus” returned… with all power in his hands. Even in the story of Mary it was more complicated than her child smiling with rosy cheeks… It was a trouble and lots of it! I have never seen so many people who claim God called them… But didn’t dare have the “walk of faith” like Mary. I don’t misunderstand scripture… We have a Messiah… who I adore and I worship. Each day I see another level of gun violence… I am “outraged” but I continue to be faithful in what I am called me to do. I don’t take popular stands which are often full of private and fleshly agendas. I don’t have the “luxury” of staying in comfort…. I don’t have the comfort like many ministers today. The process is lot more difficult and don’t you dare think…many walk the walk! It costs! God kept his promise… and we might know all the master strategist has in mind. But he has a plan. Shall we proceed to the “upper room… Mary had achieved a double portion because she was able to filled with Jesus a second time( Acts 1:13)… Don’t underestimate the wind of God when you feel like all hope is gone. But remember God is Life! The Perpetual Mary was a pillar of faith in God. As I looked in the scriptures… I have yet, read …that Mary has all this comfort despite…she had God’s favor. Mary…didn’t have all these private intermissions! Many leaders stay in safety zones and positions …too afraid of the unknown until, God makes the nest uncomfortable… Violence is uncomfortable… it is an inconvenience, it’s not necessary… We whimper and whine about change… Real change comes when you are perpetual in the things of God! God’s way can’t be explain that is why many fail the process! Trying to hold on to what appears to be God… while the hands are tainting things dabbling with man! It’s not what surrounds me… people, ego, material things that perpetuate me… It’s what inside that just might save the world… And God alone is the only one that know your greatest potential… I have NEVER seen a coffin that two people fit in! You must go it alone! There are some who God has trusted to get the “dirty jobs” done… the lowest place physically… in God reigns high with God! ASK YOURSELF ARE YOU VALID ALL THE TIME? What an extraordinary human being! On last Friday, evening Pastor Pfleger had invited history to St. Sabina of Chicago for his Afro-American Speaking Series! Dr. Bernard Lafayette, laid out history on himself, his purpose and the Civil Rights Movement. He shared his heroic but challenging experiences and his faith responses to hard displays of life with sheer love and non violence rebuttals! I was deeply moved at his sheer honesty, practical teaching and methods of being a non violent society. He was no doubt one of the best speakers I have heard at St. Sabina with accountability and transparency. I was more enthralled at is gifted ability to captivate your attention! Although, I prayed for numbers but when I realized that he understood “perception”. I was good! There was no way you left unchanged with all he has stood for. Also explained the purpose of being trained… and knowing what “devils” you would face! He has book that I wish that we could all read together. IN PEACE AND FREEDOM.. MY JOURNEY IN SELMA. Our sincere thanks to someone who is practicing what he preaches… He demonstrates character and integrity in the “True Movement” of Godly wisdom, practicality, common sense and Love!